Zhu Tianwen, the unbridgeable gap between literature and film. Zhu Tianwen is one of the most famous Taiwanese writers, she has just been awarded the Newman prize, a biennial prize by the University of Oklahoma. She is the first female recipient and was in good company with finalists such as Yu Hua, Yan Lianke, Ge Fei. 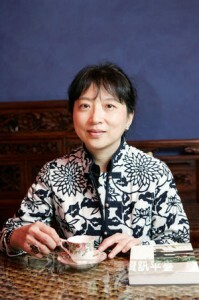 She succeeds Mo Yan and Han Shaogong who were awarded the prize in 2009 and 2011 as well as theTaiwanese poet Yang Mu.